A state law allows local governments to crack down on cruel canine breeding facilities – also known as puppy mills – by establishing higher standards of care then the standards required by New York state. How can this be accomplished? HSUS offers suggestions. But no Yates County community has shown any inclination to challenge the status quo. The issue in Yates County isn’t just about puppy mills. 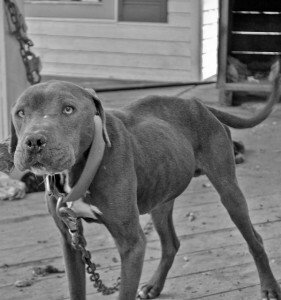 Arrests or prosecutions in Yates County for cruelty to animals have been almost non-existent. By contrast, Ontario County District Attorney R. Michael Tantillo and Wayne County D.A. Richard Healey have helped to establish a law enforcement mind-set that animals are worthy of legal protection. While humane societies in Ontario and Wayne County are actively involved in cruelty prevention and humane law enforcement, Yates County Sheriff Ron Spike has resisted past requests of the Humane Society of Yates County to be granted humane law enforcement functions. Joe Arpaio, sheriff of Maricopa County, Arizona, who has been dubbed “the toughest sheriff in America,” has zero tolerance for animal abusers. Arpaio established an Animal Abuse hotline that receives thousands of calls every year. He created an Animal Crimes Investigations Unit, staffed by specially trained detectives who investigate every cruelty complaint. These detectives receive assistance from a citizen’s posse, created by Arpaio, who are trained to detect animal abuse and neglect. Maricopa County’s Animal Crimes Investigation Unit assists other law enforcement agencies on how to best carry out training and investigations. I would like to see more law enforcement agencies, especially those in Yates County, consult with the Maricopa County Animal Crimes Investigation Unit, in order to better protect vulnerable animals. Over the years in Maricopa County, thousands of mistreated dogs, cats, horses, monkeys, reptiles, and other animals have been rescued and cared for by the sheriff’s department. Animal abusers there are prosecuted to the fullest extent of the law. Convicted animal abusers are likely to be sent to jail or prison. Closer to home, I commend Macedon Town Court Judge Thomas Crowley for sentencing a married couple to 15 months in jail after police found two dead dogs and nine other starved dogs living in deplorable conditions on their property. Crowley also banned the couple from owning any animals for 20 years. “I’m grateful that the judge recognized the seriousness of the crime and imposed appropriate punishment,” Healey said. “Too often courts have taken a soft position on animal cruelty, in my opinion” (Daily Messenger – Dec 26, 2015). In Maricopa County, carefully screened jail inmates help care for rescued animals in the sheriff’s no-kill shelter, which is a no-longer-used jail. The facility is now air-conditioned, and the jail’s cells have been remodeled to comfortably accommodate the animals. Taking care of these animals is a rehabilitative experience for inmates. Even many of Arpaio’s strongest critics respect him for his commitment to protecting animals and holding animal abusers accountable. Joel Freedman of Canandaigua chairs the Public Education Committee of ARAUNY.